We also have very strong project management capabilities. One of our associates has managed large projects for Aerospace companies and brings this expertise to our company.We are well versed in Design controls and Standard Operating Procedures for medical devices. One of our associates does regulatory consulting. Another deals with human factors and usability design that is tailored to each country.We can take a project from concept to manufacturing. We are also engaged in designing affordable medical devices as well as renewable energy systems for underdeveloped and developing countries. Our credo is to under-promise and over-deliver. He has 15 issued patents in areas of medical devices and systems. He is passionate about affordable medical devices and is working on a hand-cranked defibrillator. He works closely with the Engineering World Health organization (EWH) developing medical devices for under-developed countries and is a member of the Board for the EWH organization. 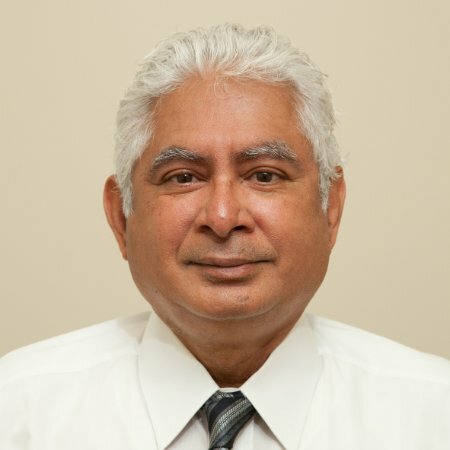 Dr. Sreeram Dhurjaty is an advisor for Nimble Heart.He also consults on, in addition to power supplies for medical systems, efficient power supplies, and converters for small wind turbines. Ram is an experienced pilot and enjoys flying. Give Ram a call to discuss the next steps on your project. Engineering World Health (EWH) Meeting challenges in developing countries. Nimble Heart We are a clinical-grade mobile cardiac monitoring platform designed to provide guidance and peace of mind in the pursuit of cardiovascular health goals. PRESCO, Inc. A design company with superb, multi-talented engineers. Kiwiseed Design A full-service design team that can take your product idea from concept to prototype. Pronk Technologies Manufacturer of the SIMCUBE (TM) which is the most innovative and compact simulator for patient monitoring systems. NJK & Associates, Inc. A full service company for Regulatory and Quality System Requirements. Natalie Kennel and Roger Greenwald do excellent work that is cost-effective and timely. Crankable Defibrillator Currently developing a hand crank defibrillator.